Leach / Bowen dish (mark) 2002. As readers of these pages will know, Clive Bowen has not used his seal for the last thirty years. 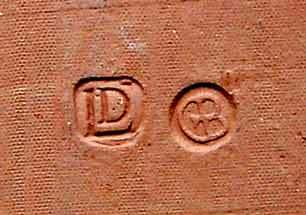 David Leach persuaded him to find it and use it on this pot to show that it was a two-man effort.